The nation’s favourite loungewear has received an upgrade just in time for Christmas, and those who want to get up close and personal with their lover can now do so in style. The ‘twinsie’ is the latest creation for couples who require no personal space whatsoever, and designers are hoping it will enjoy the same level of success as its predecessor. Comprised of four armholes, two hoods and only three legs, the twinsie requires couples to synchronise their movements if they wish to actually walk around while wearing it, and going to the bathroom will involve some serious manoeuvring. Despite the limitations, designers are hoping that their new and innovative take on the onesie will prove to be this season’s hottest new trend. Our obsession with the all-in-one began a few years ago after a clever advertising campaign catapulted the onesie from the back pages of Kleeneze catalogues to the glossy covers of high-fashion magazines. Celebrities soon pounced on the trend, and everyone from Cheryl Cole to Brad Pitt has been seen proudly sporting their adult rompers out in public. They have come a long way from the early prototype that was known as a ‘snuggle suit’ and was made from a bulky, scratchy polyester that even a supermodel would struggle to pull off. Now onesies are the ultimate in style and comfort and are available in thousands of different designs and materials to envelope you in head-to-toe luxury. 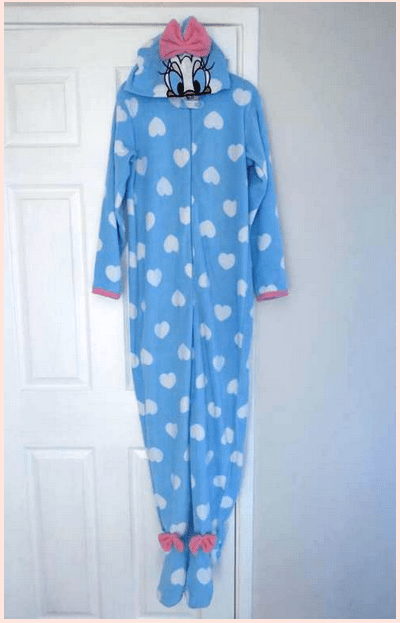 The twinsie is the creation of The Original Factory Shop in response to increasing demand from Facebook users who were desperate to share their onesie with their nearest and dearest. Asda unveiled a similar style last Valentine’s Day known as the ‘twosie’ which featured a bunny design and looked more like a two-man poncho than a onesie. The twinsie features the traditional zip fastener and kangaroo pocket that most onesies have making it a true descendant of the much-loved original. Just as the onesie began life as indoor attire, the twinsie will almost certainly be reserved for the privacy of the home for the foreseeable future. However, the British are famous for their quirky fashion sense and a two-person babygro would hardly raise an eyebrow in most parts of London. If you and your beau are feeling brave enough to kick-off the twinsie movement, make sure you follow the five golden rules of wearing all-in-ones in public. 1. Never wear high heels with a twinsie. The whole point of the all-in-one is unbridled comfort, so adding uncomfortable shoes will defeat its purpose. Plus, your boyfriend will feel as though he’s skipping over hot coals trying to match your stride. 2. Keep accessories to a minimum. 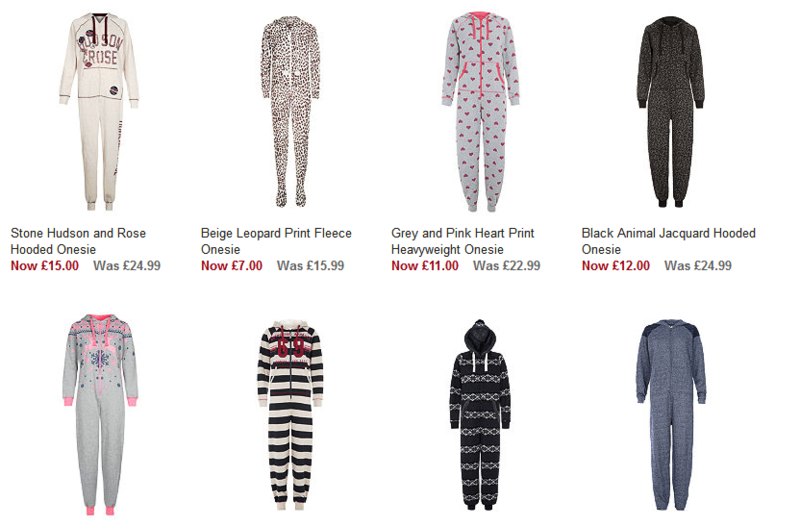 The onesie itself is all the statement you need, and anything else will simply be fashion overkill. 3. Layer a t-shirt underneath. Opening the zip to reveal a flash of outdoor clothing makes the onesie that little bit more acceptable to the general public. 4. Animal-themed onesies are not acceptable outdoor attire. Onesies in animal prints such as leopard or zebra are suitable for outdoors, but those that look like a giant Tigger costume are not. 5. Know your audience. Wearing your twinsie on a shopping trip or to the local pub will make you look trendy and cool. Wearing it to a job interview or to the opera will make you look crazy. The first onesie can be traced back to Winston Churchill who requested a practical suit from designers Turnbull and Asser that was comfortable enough to sleep in yet formal enough to conduct official war business at 2am should the situation call for it. Fast-forward to the present, and the onesie can be seen just about anywhere from 24-hour Tesco stores in Catford to the star-studded bars and nightclubs of London’s West End. Even model Andrej Pejic wore a pinstripe version on the catwalk at a Jean Paul Gautier fashion show. Love them or loathe them, they are certainly here to stay, and even London mayor Boris Johnson has confessed to owning one. It remains to be seen whether the new twinsie will reach the dizzying heights of fame as the original, but it will certainly make the perfect Christmas gift for the couple who already have everything. Sophie West tracks fashion trends and considers herself a fashion spotter. She enjoys blogging about new designs and fads that are fun and innovative.